The gift of prophecy manifested in the service of Ellen G. White, who was one of the founders of Seventh-day Adventist Church. Council received inspired the people of God in recent times. 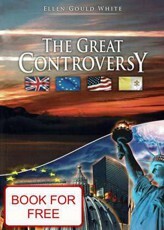 The world at the beginning of the nineteenth century began to bring God's message was a man's world. Her prophetic calling it exposed a critical examination. Did the Bible's criteria and his prophetic gift was used for over seven years. Since 1844, when she was seventeen until his death in 1915, received more than two thousand vision. During her life she lived and worked in America, Europe and Australia, where he advised new job organized, lectured and wrote. Ellen White never proved your claim that the bear was a prophetess, but did not oppose it, while others called her so. He explains: "In my youth I was asked: Are you a prophet? I replied: I am a messenger of the Lord. Application of the prophetic criteria. To what extent the service of Ellen White agrees with the biblical prophet criteria? 1 Consent to Scripture. Her literary work includes extensive tens of biblical texts, which are often accompanied by a detailed explanation. Careful study showed that her writings are consistent, accurate and in full accord with Scripture. The rise of modern spiritualism. In 1850, when spiritualism was at the beginning of its development, by Ellen White describes as a fraud and the recent expansion of its forecast. Although at that time was completely against the Christian movement, predicted that his hostility to Christianity and that the changes will give the Christians respect. Since then, spiritualism spread throughout the world and gained millions of followers. He changed his stance against the Christian, many Christians are called psychics. Close cooperation between Protestants and Catholics. During the life of Ellen G. White had existed between Protestants and Catholics, a large gap between them ruled out any cooperation. Among Protestants dominated the anti-Catholic sentiment. Ellen White prophesied that the result of major changes within Protestantism will move away from the reformist faith. Consequently, reducing the gap between Protestants and Catholics, leading to bridge the gap that separated them. In the years that followed her death, there was an increase of the ecumenical movement, founding the World Council of Churches and to Catholic Second Vatican Council. As Protestants would no longer be aware of or perhaps even totally reject reformist views on the interpretation of prophecy. The major changes to remove barriers between Protestants and Catholics and led to increasingly close cooperation. Her writings clearly represent Christ as true God and true man. Its balanced interpretations are fully consistent with the Bible, trying to avoid excessive emphasis on one or the other nature, which was a problem caused in the history of Christianity, so many contradictions. 4 The influence of her services. For more than a century has passed since Ellen White received the gift of prophecy. The church and the lives of those who heed its advice, show the impact her life and had a message. Her literary work includes more than 80 books, 200 tracts and pamphlets and 4600 journal articles. Sermons, diaries, letters and testimony to the special make up another 60,000 pages of the manuscript material. The scope of this work is astounding. Ellen White's expertise is confined to a few areas. The Lord gave her advice on health, education, family life, temperance, evangelism, publishing the work, proper diet, medical work in many other areas. Perhaps the most surprising her writings on health, because what you preach for more than a hundred years ago, confirmed by modern science. Her writings focus on Jesus Christ and promote high ethical and moral values of Judeo-Christian tradition. Spirit of Prophecy and the Bible. Ellen White's writings do not replace the Bible can not be equated with Scripture. 1 The Bible is the supreme criterion. Seventh-day Adventist Church fully supported the Reformation principle of sola scriptura. The Bible is its own interpreter, and only the Bible is the foundation of all learning. The founders of the Church formulated the doctrinal principles through Bible study. This learning might then come through the vision of Ellen White. Its main task during the development of this doctrine was to lead them to understand the Bible and to confirm their findings, which occurred on the study of Scripture. Ellen White herself believed and taught that the Bible is the supreme norm for the church. In her first book published in 1851, wrote: "I recommend you, dear reader, the Word of God as your rule of faith and life. This word will be judged. This view has never changed. 2nd Guide to the Bible. 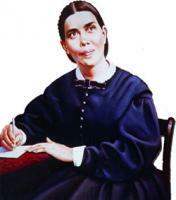 Ellen White recognized that its mission is to lead people back to the Bible. "Just a little care to the Bible, she said, because" the Lord has given a lesser light, which has lead people to greater light. 3 Advisor in understanding the Bible. Ellen G. White understood his writings as a guide to a better understanding of the Bible. "It is an additional right. Simplified through the witness of God is great truths already given and it is the chosen way forward for people to awaken through and impressed the minds of the people that were all without excuse. "Written testimony was given in order to bring new light, but sharply impressed upon the heart already revealed inspired truths. 4 Guide for the application of Biblical principles. In many of her writings to apply biblical advice in everyday life. Ellen White wrote that she was encouraged to "word and pen, explained the general principles and also highlighted the risk of errors and sins of some believers to have all warned, reprimanded and received advice. Prophecies of the Revelation of John, which says that "the testimony of Jesus is reflected by the" spirit of prophecy in the last days of earth history, invites everyone to not to be indifferent or incredulous, but to "examine all things and to" hold good. Much to gain or lose by examining the prophetic gift. Jehoshaphat said, "Believe in the Lord your God and you will not be moved, believe his prophets, so shall you prosper. (2 Chronicles 20.20) His words are as true today.